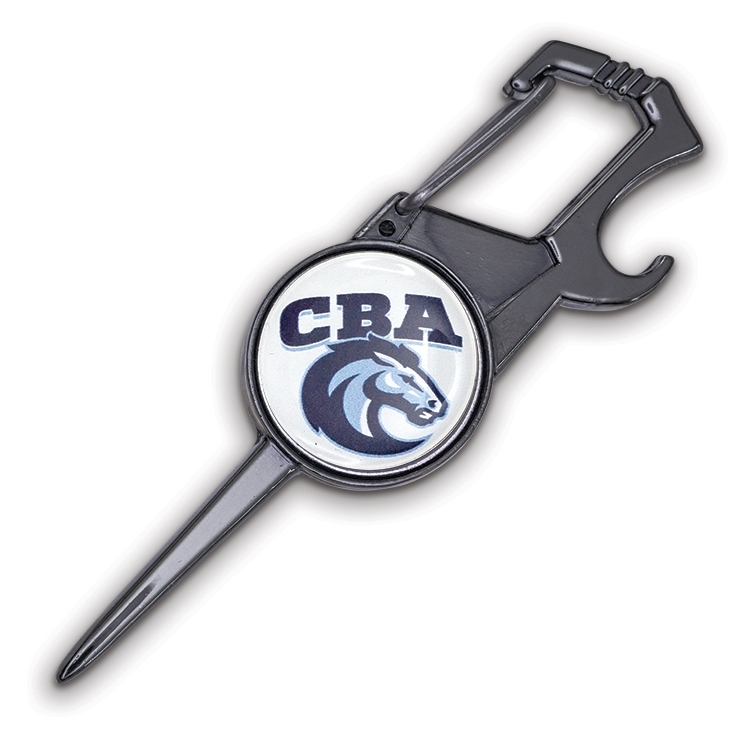 Modern, polished black nickel finish golf divot tool. Features a single prong divot fixer, preferred by golf course grounds keepers. Clip easily attaches to belt loop or golf bag for easy access and divot repair. approximate size: 3.25" x 0.875"